It is also fun because we bring our favorite summer dishes to share with our neighbors and try new and exciting dishes as well. I am always looking for a new dish to bring to summer picnics because there are always the tried and true macaroni & potato salads, fruit dishes, vegetable platters and various chips. 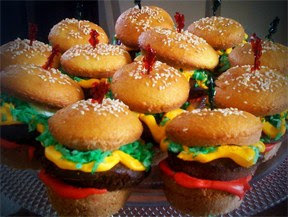 This year I am going to make cupcakes that look like a hamburger! I saw them at my grandson’s birthday party & thought they were a great idea. So I got to work and created my masterpiece. They were a huge success and everyone who ate them asked for the recipe, so I am going to share the recipe and picture for you to create for your summer get together. The recipe is from Duncan Hines, just click on the link: Duncan Hines Hamburger Cupcakes. Have a Happy & Safe July 4th from your fellow Jensen community residents! On behalf of all of us at Jensen communities we wish you an enjoyable Independence Day! We want to let you know our offices will be closed on both Thursday and Friday to give our hardworking staff a well-earned extra day off after the Holiday. 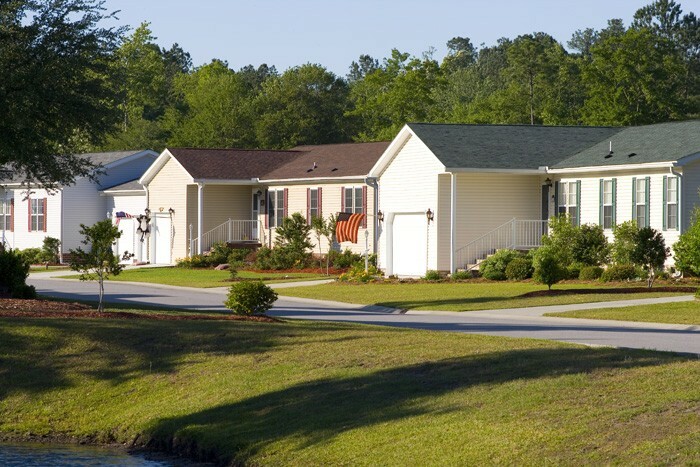 Sales offices normally scheduled to be open on Saturdays will generally be open for business this Saturday for Open Houses on new and resale manufactured homes. 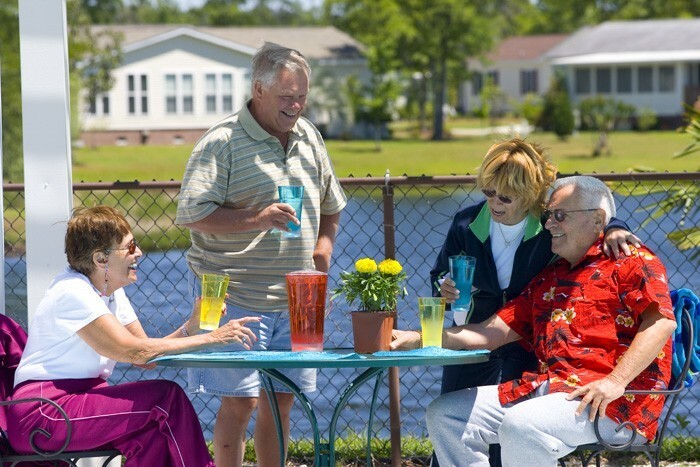 While you are enjoying a barbeque with family or friends, consider your own current state of independence and if you are perhaps really looking for more freedom that a more manageable and affordable home and yard can afford. 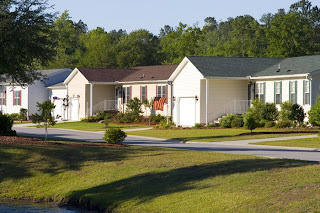 A new energy efficient manufactured home in a Jensen community can remove a lot of the heavy lifting and extra costs as well as time that a traditional family home requires. With Memorial Day behind us it brings to the mind how lucky I am to be living free, happy and healthy. Sharing these feelings with my Jensen Community neighbors makes it all the more special. One of the things I enjoy most about where I live is the fact that my neighbors come from all over the country with different experiences and backgrounds, yet we all seem to share similar values. 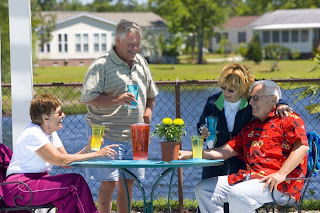 It’s part of why I feel so at home at Jensen’s—truly a sought after and satisfying lifestyle. Just yesterday I was washing my prized 1969 Ford Mustang hard top on the driveway and my neighbor “Smitty” dropped in. He was just finishing his exercise walking routine and decided to come over and help me finish cleaning the tires. As we were polishing the chrome we chatted about old times, cars and growing up in the Northeast. We agreed, what we missed after leaving our childhood homes to enter the work force was the sense of neighborhood. That special place you call home where friendships are made and great experiences created which keep life interesting, safer and more rewarding. We both knew what we were saying: “I’m glad I am here with you and other people like you because you improve my life.” I worked hard to be here and now I am rewarding myself every day! Later on this week a few of us from the neighborhood are going into town to check out the local car show and catch a movie. I really enjoy taking my baby out for a drive when she is all polished up! I look forward to these outings because they are simple and fun! We will probably stop at the local ice cream stand on the way back home, but no-way is Smitty getting into my car with a full cone of ice cream! Besides, he likes chocolate and my favorite is vanilla.